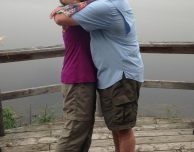 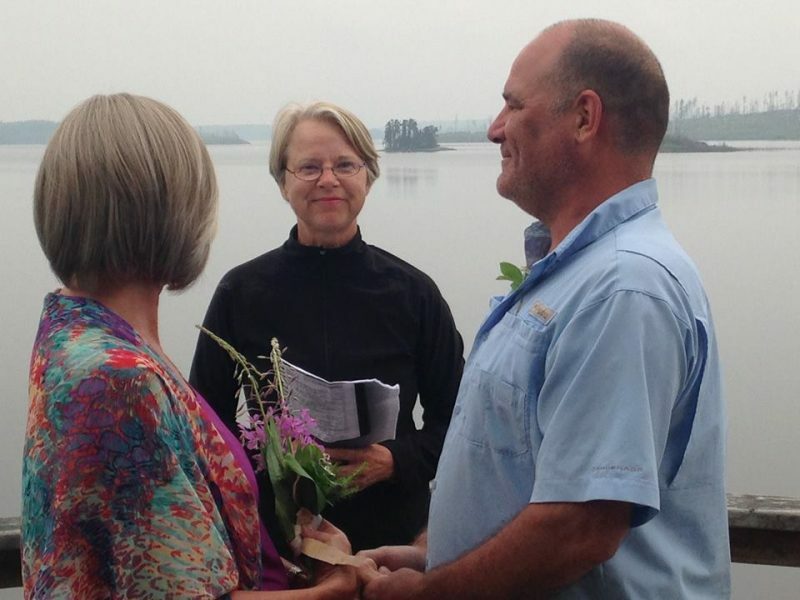 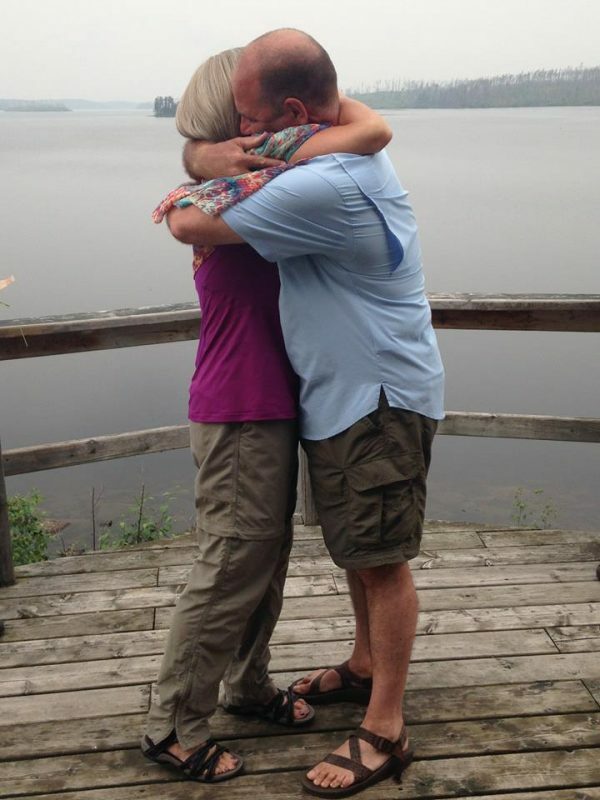 Imagine our surprise when Dave and I heard that Larus Lake was the venue for an impromptu wedding ceremony! 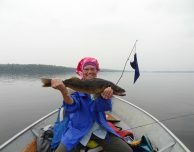 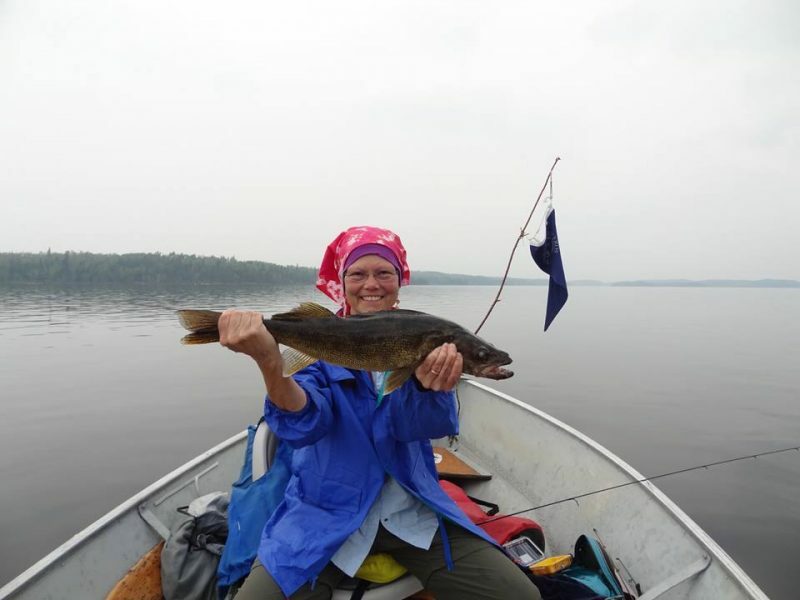 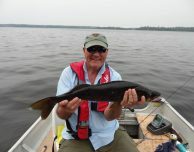 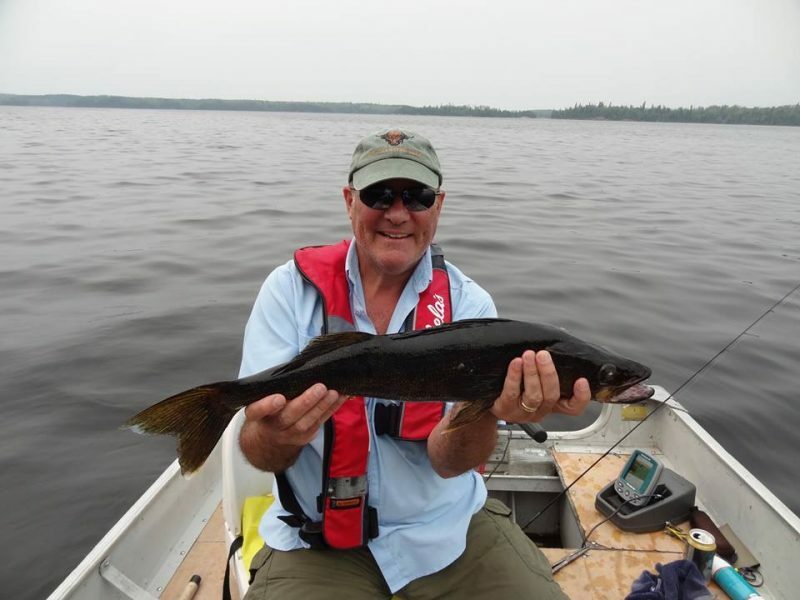 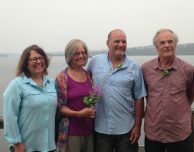 Jan and Gregg have fished at Larus Lake in Woodland Caribou Provincial Park with friends Renner and Jane for more than 20 years. 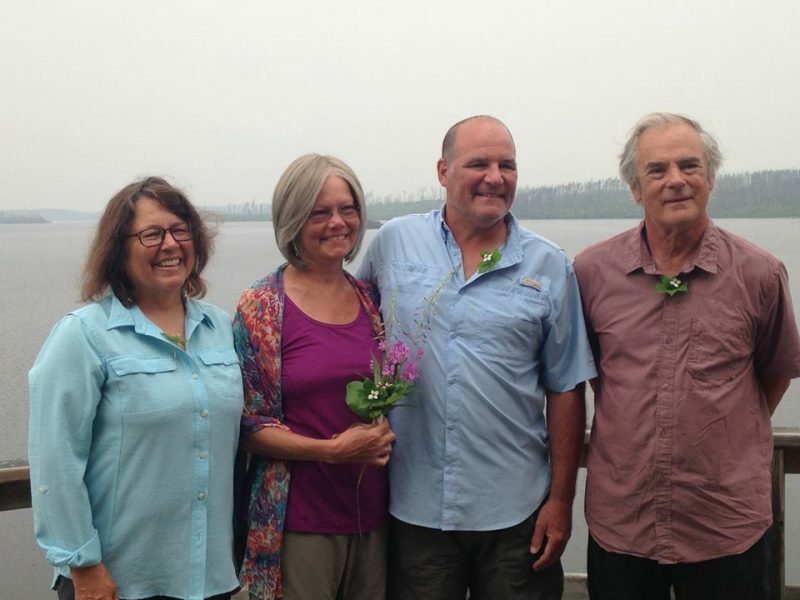 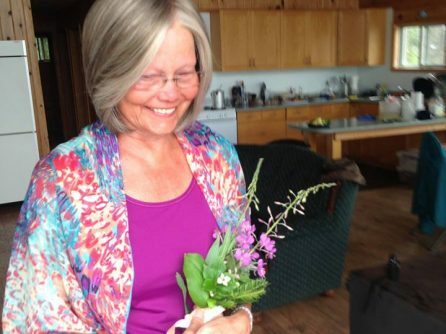 “I thought this might be the perfect time to renew the marriage vows we took almost 36 years ago,” Jan said. 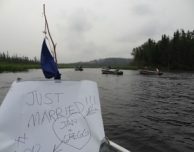 Jan “proposed” the idea to Gregg – and he said yes. 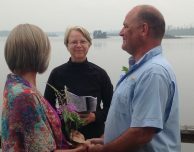 In two hours, Renner and Jane made a real ceremony happen for Jan and Gregg. 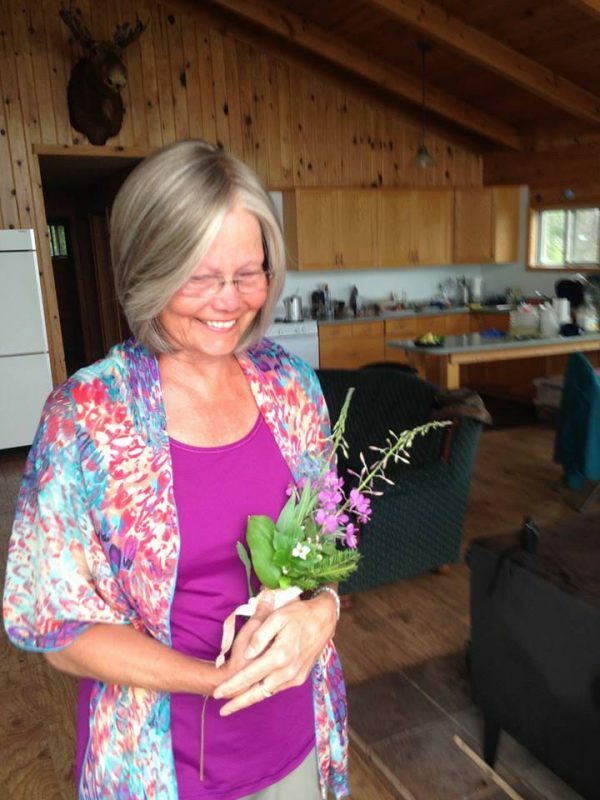 There was Pachelbel’s Canon in D, freshly-picked wildflowers, and even a retired judge to make things legitimate! Jan and Gregg look so happy in the photos – we wish you both the best!